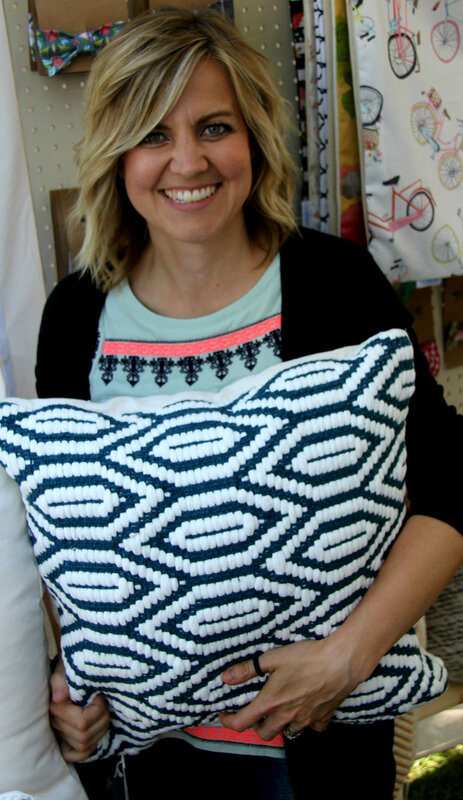 Home is where the heart is - showcasing home decor @ Artfest Toronto! Home is where the heart is and that's why Artfest Toronto at the Distillery is showcasing such a unique selection of one-of-a-kind art pieces to decorate your home just how you like. Artfest Toronto is featuring many talented artists this Labour day long weekend and we are excited to offer such a vast collection of simply amazing home decor pieces! You'll find many beautifully crafted items to choose from for your home and you will be amazed at the talent in these magnificent art and craft masterpieces! Decorating your home with hand crafted art pieces will make your house stand out from the rest. And possibly...start a conversation. 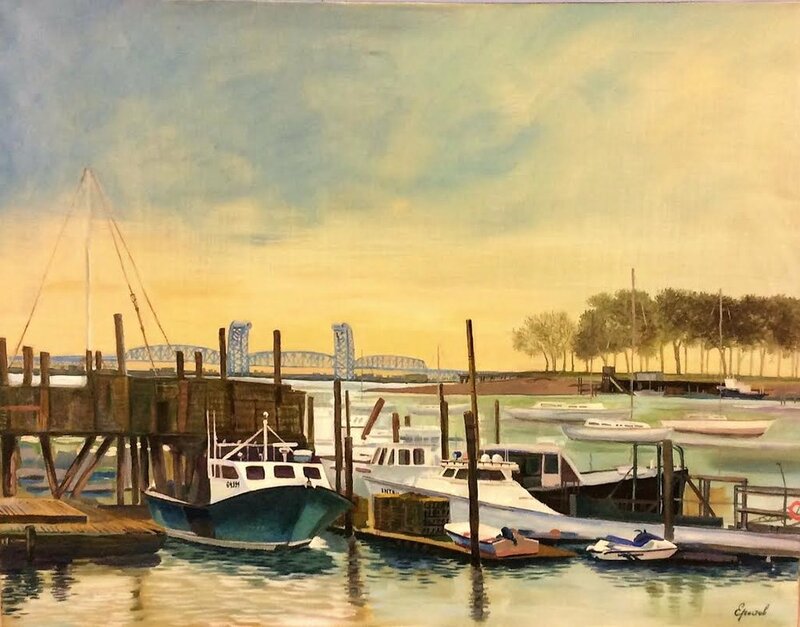 At Artfest, we have many exhibitors featuring their home decor artwork. Bring home a conversational piece this weekend from Artfest Toronto and make your home 'magazine' style. Posted on August 28, 2018 by Lory MacDonald and filed under Other and tagged Home Decor Artfest Artfest Toronto Distillery Decor. Colourful Fun Art @ Artfest Toronto! Brighten up your home decor with a brand new piece of vivid artwork from an original artist this Labour day long weekend at the Distillery District in downtown Toronto. With autumn just around the corner, why not purchase that perfect, bright and colourful, fun art piece for your home, friend or as a gift. Tis' the season to celebrate colour and fun art! Artfest Toronto hosts two outdoor art and craft shows a year - one in the spring and one in the fall - which will end our inaugural Artfest season until the following spring. Celebrating creativity in the arts through painting, photography, sculpture, fine craft, live music and more from Canada’s top artists, Artfest is an event offering something for everyone - even gourmet food to die for! Colour is so important in a person's life. We all know that. Colour can set your mood - dark and dreary to bright and colourful. At Artfest, the collections of artwork range in styles, mediums and forms and can suit each and every mood including those interested in fun art and colourful art! Set throughout the cobblestone lanes of the Distillery Historic District in downtown Toronto. FREE admission. There's something for everyone at Artfest Toronto! Brighten your day by taking in the amazing offerings of Colourful, Fun Art ~ at Artfest Toronto this Labour day long weekend! Posted on August 28, 2018 by Lory MacDonald and filed under Other and tagged Artfest Toronto Colourful Art Distillery District Fun Art Art Show. There's something for everyone @ Artfest! 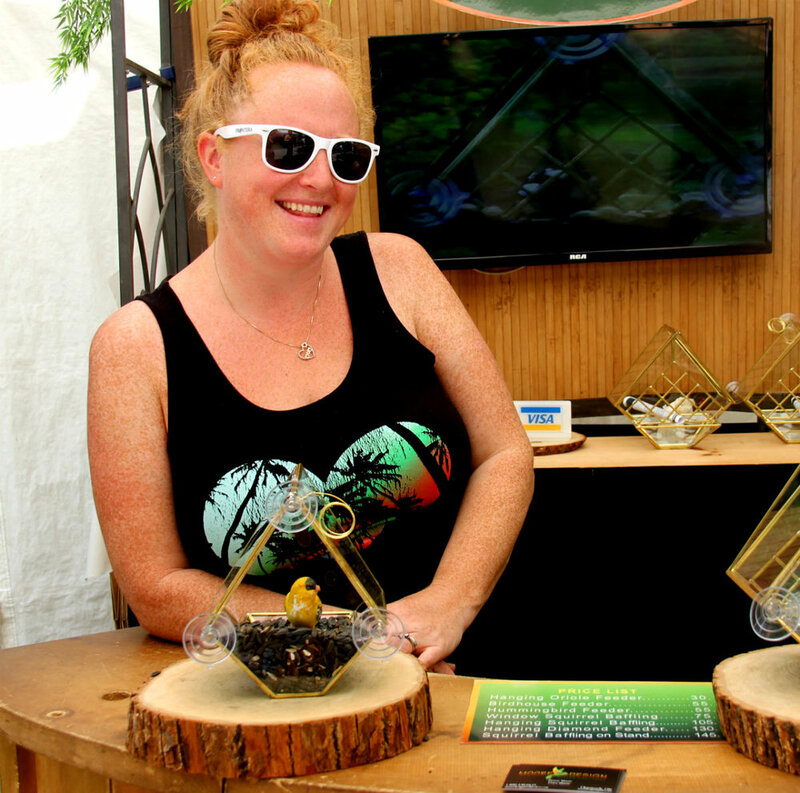 Artfest proudly hosts six outdoor art & craft shows yearly, showcasing Ontario’s talented artists and artisans. The jury process is tricky with so many talented artists and artisans across Canada applying to exhibit in our shows. We thank each and every applicant and encourage creativity in the arts where ever you may go. Over the years, Artfest has met a plethora of amazing, like-minded, individuals whether exhibiting their artwork at our shows, visiting Artfest or working on our outstanding Artfest team, we couldn't be happier with the artistic spirit that makes up Artfest. To end the Artfest show season, we are exhibiting the works of over 75 talented artists and artisans downtown Toronto this Labour day long weekend at the Distillery Historic District - while offering gourmet food, live music and children's art classes, there's something for everyone at Artfest! Artfest Toronto offers FREE art classes to children - Directed by - Artfest team member, Sabrina Parrish, her classes are one-of-a-kind and fun! Encourage your children to create and bring home a little something extra from the show for the fridge or art display case. 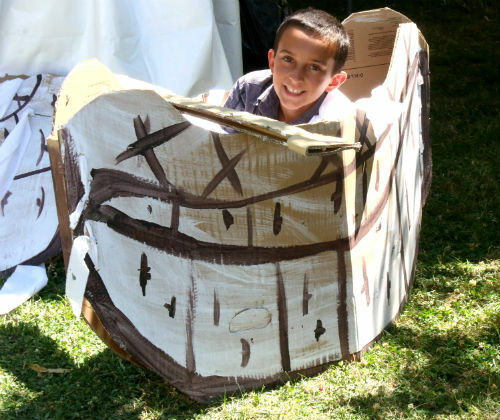 Artfest loves to inspire and encourage children to create, exhibit and celebrate art wherever possible. And that's not all - Artfest Toronto is offering live music all weekend long, gourmet food to die for, friendly Artfest staff and much more! Be there. From Aug 31 - Sept 3. Labour day long weekend. Read more about the performing Artfest Toronto musicians here. Posted on August 22, 2018 by Lory MacDonald and filed under Other and tagged Artfest Toronto Fall Show Artfest Distillery District Art Show. Book a lesson with Kingston Circus Arts and watch various performances and demos this Canada Day long weekend at Artfest Kingston! There's something for everyone at Artfest! 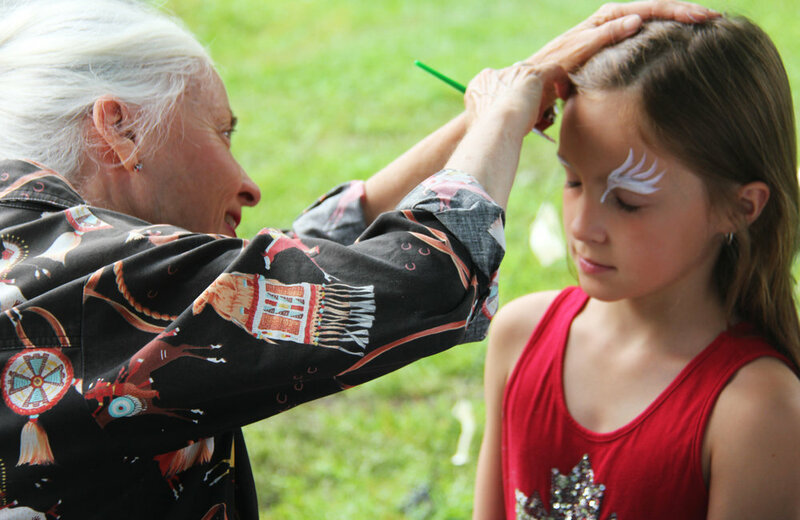 Kingston Circus Arts will be performing from 10am - 6pm on June 30th and July 1, in City Park (Kingston, Ontario). Offering aerial silks, hooping, poi, partner acrobatics and more! 15-30 minute lessons for individuals and groups. Hooping or poi: $10 for 15 minutes or rent a hoop/poi and do your own thing for $5. Partner Acro Classes (all people and ages are welcome!) on June 30 from 11:30-12 and 3:30-4. $15 or $20 for two people. All proceeds go to start up costs for Kingston Circus Arts new space, 1377 Midland Ave, unit 460. Visit - http://www.kingstoncircusarts.com - Circus for everyone. Posted on June 25, 2018 by Lory MacDonald and filed under Other and tagged Circus Arts Acro Classes Artfest Kingston Canada Day Poi. For the 7th consecutive year, Artfest Ontario presents Artfest Kingston - The Future of Art. This is one of Kingston’s largest art shows - a grand spectacle fit only for Canada Day weekend. What better way to celebrate Canada than by experiencing and discovering one of the few things that connects each Canadian to another: Art. This year's Artfest Kingston show opens on Saturday July 30th with all sorts of exciting events taking place, 200+ vendors, and spectacles to entertain the entire family! There's something for everyone at Artfest! With all these activities in one of Ontario’s oldest cities, there’s no reason not to come to Kingston and celebrate Canada Day with your good friends, favourite artists and live music to accompany all the fun. Discover Ontario’s talented artists and artisans, make memories with your family, and purchase something truly unique to commemorate Canada Day, 2018. Artfest Kingston is our biggest and best event. Being only a few short weeks away, we cannot wait to celebrate with you! We bring together some of Ontario’s most talented artists and artisans and provide you with a unique experience to discover what it means to be a Canadian artist. With the event being hosted in Kingston’s beautiful City Park, Artfest isn’t the only reason to visit Kingston for Canada Day weekend. With wonderful places to dine, shop, be entertained, and stay for the weekend, Kingston is a truly inspiring place to spend a long weekend. Artfest Kingston- The Future of Art will be the icing on the cake for making the most of a perfect weekend away on Canada Day weekend. Posted on June 11, 2018 by Lory MacDonald and filed under Other and tagged Artfest Kingston City Park Art Show Canada Day. Artfest Kingston ~ only two weeks away! Artfest Kids Flower Sculpture at Artfest Port Credit 2015! As we celebrate Canada's annual anniversary on Canada Day, we are also celebrating Artfest Kingston. Artfest Kingston has become one of Kingston's premier summer events. Located in the beautiful City Park, Artfest 2018 will showcase over 200 of Canada's top artists and artisans. 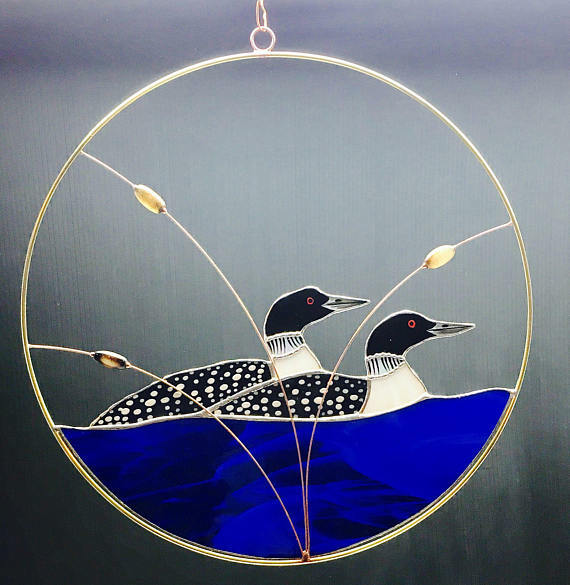 Shop for true Canadian hand-made arts and crafts for your home, cottage or as gifts. Choose from a wide selection of pottery, glass art, wood crafts, games, furniture, jewellery, paintings, photography, children's clothing and more! Artfest Kingston is located at the corner of King Street East and West Street, a few blocks from City Hall and just a hop, skip and jump from Lake Ontario. Artfest is the perfect setting with its expansive space and meandering paths. Of course there will be spectacular food, live music and FREE art workshops for everyone! 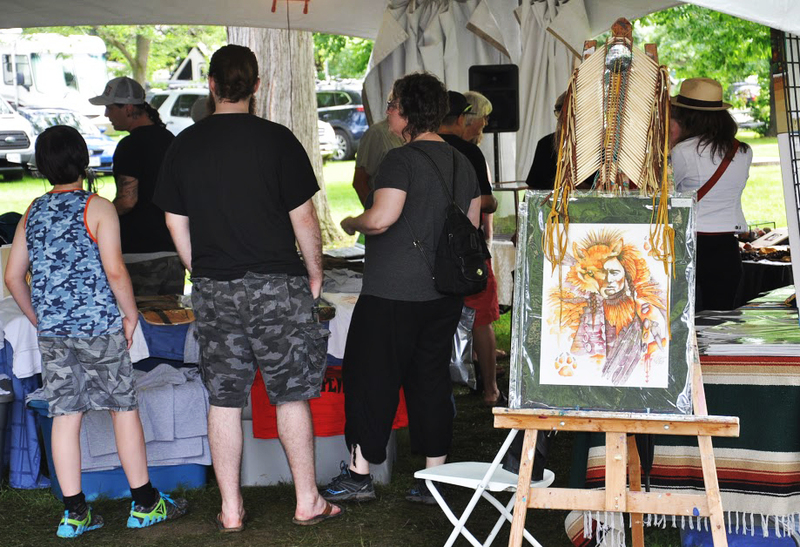 As well, at Artfest Kingston, we are showcasing a First Nations Tent dedicated to featuring Native art and craft, and performance. Admission is FREE to our shows. From June 30th to July 2nd, join us for three days of fun! Artfest Kingston presents a well-organized and value-packed experience for every visitor. See you at the show! Check out some of our admirable Artest Kingston exhibitors (and show photos) and their one-of-a-kind artwork in the following photos (Just a sneak peak!). Posted on June 11, 2018 by Lory MacDonald and filed under Other and tagged Artfest Kingston Canada Day Kingston Events Artfest. Kingston is a 'festive' place to be! Head down to Kingston and feel the good vibes while crowds flock the streets, various fun events take place and bands perform along the waterfront. What an amazing city to be in and especially during Artfest Kingston! Last year's show was a record breaker and we are so happy to see that everyone had such a fabulous time. We want to thank visitKingston.ca and Tourism Kingston for their ongoing partnership with Artfest Ontario. Without you, Artfest would not happen. visitKingston.ca has a motto that is true to their words: 'Always a great time' in Kingston! And we couldn't thank them enough for getting the word out about Artfest Kingston. Your continued support helped Artfest in writing one for the history books with record attendance last year! Kudos to you all!! We had visitors from all across the globe last year. Thanks again, visitKingston.ca and Tourism Kingston for making this art and crafts event happen! Located in the beautiful and spacious City Park, Artfest 2015 featured 150 of Canada's top artists and artisans! Thank you to those who came out and supported true Canadian hand-made art and crafts! Posted on June 11, 2018 by Lory MacDonald and filed under Other and tagged Kingston Artfest Artfest Kingston Visit Kingston KEDCO. 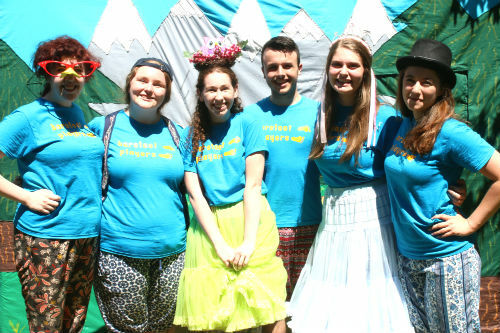 A call for Volunteers at Artfest Kingston! Artfest Kingston is offering volunteer opportunities for those like minded art type individuals who love fun, arts and crafts, rockin' music, gourmet food and much more! So, how do you 'hop on the band wagon' and join our Artfest Team? The answer is simple...... Volunteer! Volunteering at Artfest Kingston is a rewarding experience. There are many opportunities to meet new people, socialize, show off your skills, learn new ones and contribute back to your community. Plus, it is just plain old fashioned fun. Create great memories with us and over 200 + exhibitors at Artfest Kingston this Canada Day long weekend in the picturesque City Park. Just complete the volunteer form below and we will be in touch. Any questions? Call Lory MacDonald at 705-812-2914. We would LOVE to hear from you! Posted on June 11, 2018 by Lory MacDonald and filed under Other and tagged Volunteer Opportunity Artfest Art Show Artfest Ontario Volunteer. 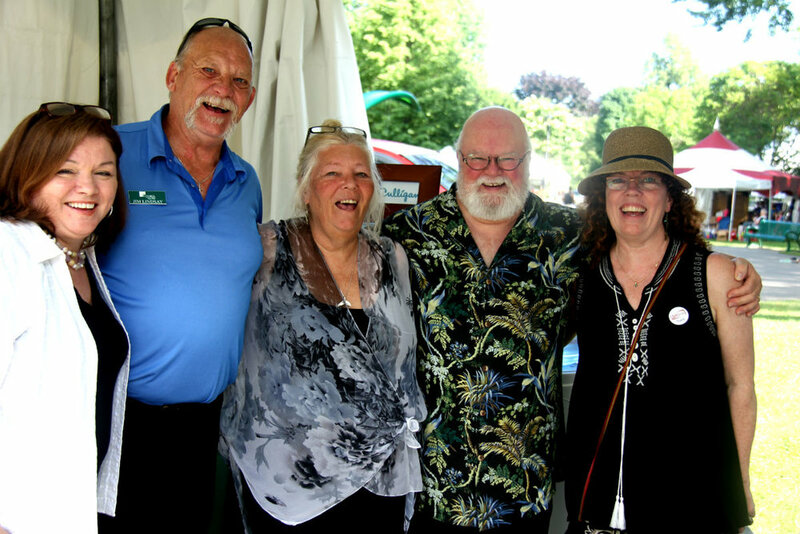 Artfest Port Credit a success! Artest Port Credit launched the summer this past weekend on the picturesque Credit River. This year's Artfest Port Credit show was a hit and, the weather co-operated for us enthusiastic art and craft connoisseurs! We want to thank everyone that visited the show and also welcome and thank all of our Artfest art and craft exhibitors who exhibited their one-of-a-kind handcrafted treasures. Onward to the next Artfest show in Kingston this Canada Day long-weekend! Artfest Port Credit celebrated over 100 of Canada's top artists and artisans beside the Credit River in Memorial Park! Offering functional pottery, glass art, one-of-a-kind jewellery, paintings, woodcraft, gourmet foods, live music, children's art classes and much more, Artfest was definitely the place to be! The gourmet food selection this year ranged from delectable home-made butter tarts, tantalizing hot sauces, roasted and flavoured GMO free soya beans to beet burgers, beaver tails, tropical drinks in the fruit and organic ice-cream and jams, and monster sandwiches on thick, homemade bread. The food was amazing, to say the least. Music at Artfest is always an extra added feature that sets the scene and keeps people rockin', boppin' and enjoying their time. This year's line up was perfect. Friday evening, Matt King opened the stage with songs on guitar and vocals presenting a wide music genre of popular tunes. Sat - Andy Griffiths took the stage playing his energetic and passionate rootsy folkin' rock music - In Betwe3n rocked the stage with music from the 60s and 70s, classic rock and a selection of newer alternative rock Sat evening. The final day at Artfest Port Credit was filled with Latin music in the air, sunshine and crowds of happy people. The Farrucas Latin Duo presented a Latin performance that set the scene - the dynamic duo experimented with the diversity of Latin sounds with flutes, chimes and hand drums - painting an exotic musical portrait for the Artfest show. Our next Artfest show is on Canada Day long weekend in Kingston. This show is our biggest offering 200+ exhibits of Canadian made art and craft. Posted on May 29, 2018 by Lory MacDonald and filed under Other and tagged Port Credit Credit River Artfest Art Show Memorial Park. NEW 2018 Artpix Screen showcasing Children's Art at Artfest! Included in this years 2018 Artfest Port Credit show is the debut of the Digital ArtPix Children’s Gallery. Artfest is very excited about the gallery where we will present children’s art to over 50,000 event visitors! This is the perfect way for young artists to celebrate the arts and build self-esteem on the world art stage. This eye capturing weatherproof 16x9 LED screen will be showcasing artwork of students from local elementary schools, globally. This is the first time something like this has been done in the world so don't miss out on this great opportunity. For only $5 your child's artwork will be displayed on our giant screen at our upcoming Port Credit show. Schools that participate will receive $2 toward student council. To register: Please enter your information into this form and upload a photo of your art. Then pay the $5 entry fee. Remember: Your school's parent council will receive $2 for each entry. Come celebrate with us and view this NEW and amazing LED screen in both Port Credit and Kingston and enjoy everything these historic cities have to offer! Free admission too! Posted on April 17, 2018 by Lory MacDonald and filed under Other and tagged Artpix Gallery Children's Art Port Credit Artfest LED screen. Celebrating the Arts in Ontario! Artfest Toronto has quickly emerged into one of Toronto’s favourite spring art shows. Celebrating painting, photography, sculpture, fine craft, live music and more, from Canada’s top artists, Artfest is set throughout the cobblestone lanes of the Distillery Historic District in downtown Toronto and is an event you won't want to miss! There's something for everyone at Artfest! FREE admission and fun for all, Artfest Toronto hosts over 75 talented Canadian artists and artisans who will be exhibiting along the cobblestone lanes of the Distillery HIstoric District. 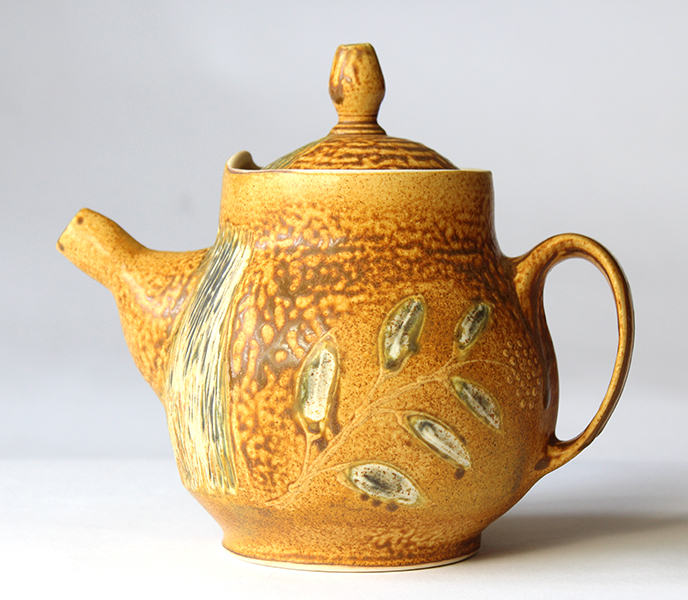 At Artfest Toronto, we present a broad spectrum of craft and art media that includes a stunning selection of pottery, glass, wood, jewellery, clothing, textiles, painting, sculpture, photography and more. 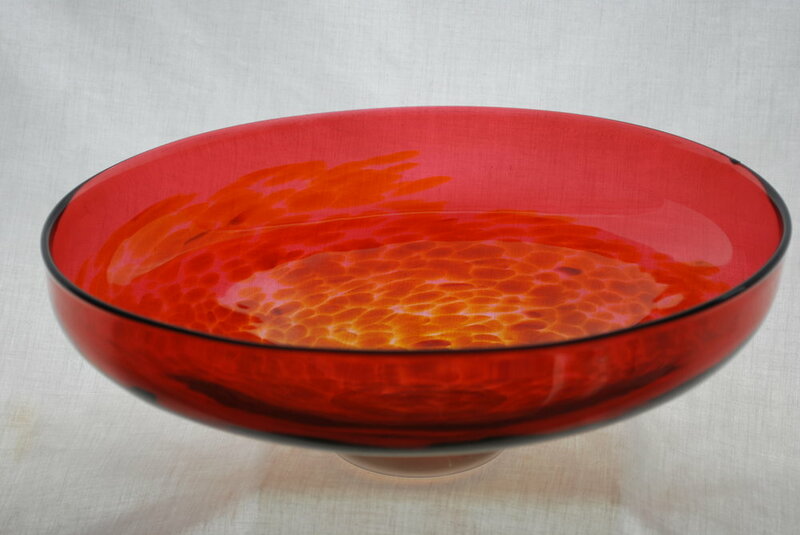 Each exhibitor has a personalized style with outstanding craftsmanship. And that's not all. At Artfest Toronto, you can join in for one of our FREE Artfest Kids workshops, or mosey on over to Trinity Square where the stage is rocking with talented performers. When: May 19-21, 2018 (Victoria Day Weekend) - 11am to 6pm, daily. Please have a peak below at our photo gallery slide show of some of the amazing artists and artisans exhibiting at our upcoming Artfest Toronto show. There's something for everyone at Artfest ~ From May 19th to 21st - see you at the show! Posted on April 12, 2018 by Lory MacDonald and filed under Other and tagged Artfest Toronto Artfest Toronto Art Event. Canada’s vast and beautiful landscape is revered highly around the world, hence the 18,000,000 people (in 2015) who came to visit and explore our country, according to Statistics Canada. From the East to the West coast the vistas are truly breathtaking. Artists of all genres get their core inspiration from our rugged country. Their interpretations can result in anything from high realism to abstract art. 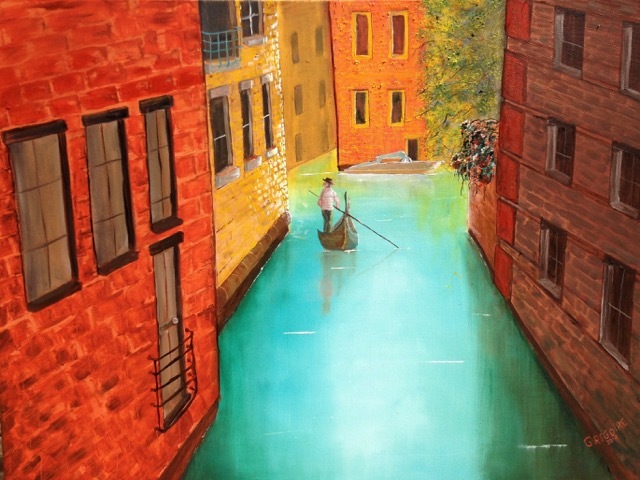 Artfest has many exhibiting artists who passionately embrace the Canadian landscape as their muse. Edina Racz from White Lotus Design makes stunning silver jewellery inspired our natural settings. Hiking through forests, viewing shapes in cloud formations and looking at river patterns as it carved its way through rock and sand – all these influences shaped and inspired her unique jewellery designs. Watercolourist Dave Gordon was privileged, as are many Canadians, to grow up exploring the outdoors. Dave felt a strong attraction to nature, particularly to fields, ponds and woodlots near his parents’ home. His travels introduced him to the wonders of nature and a sense of being at peace in the countryside. At the time, Dave did not understand the attraction, but the feeling ultimately led him to landscape painting. Rural scenes are still his calling, focusing on nature scenes, farm houses and barns. 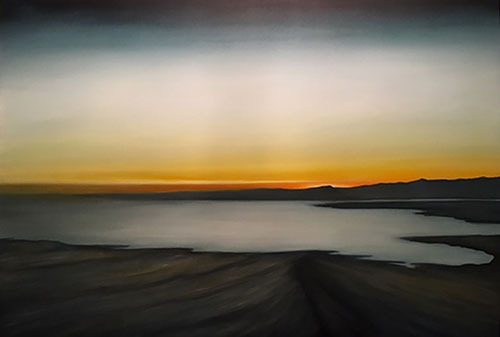 His paintings capture the essence of light reflected on our beautiful landscapes. You can’t really talk about landscape without considering traditional barns. Though once a staple in our daily lives, alas, they are becoming very difficult to find – especially in good repair. 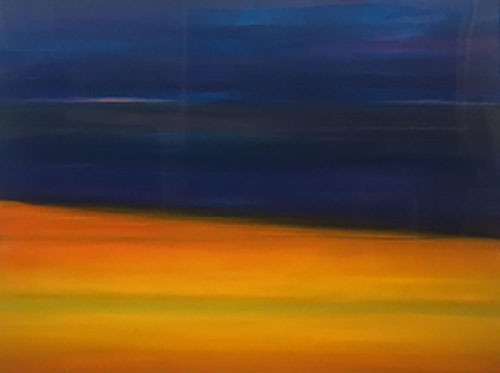 Artist Matt Jones (along with his siblings) grew up on a small heritage farm in Saint George, Ontario, working with both livestock and in the family apple orchard. Years later, after moving to Burford, Ontario and raising a family of his own, one of the family barns collapsed in the ice storms of 2015. 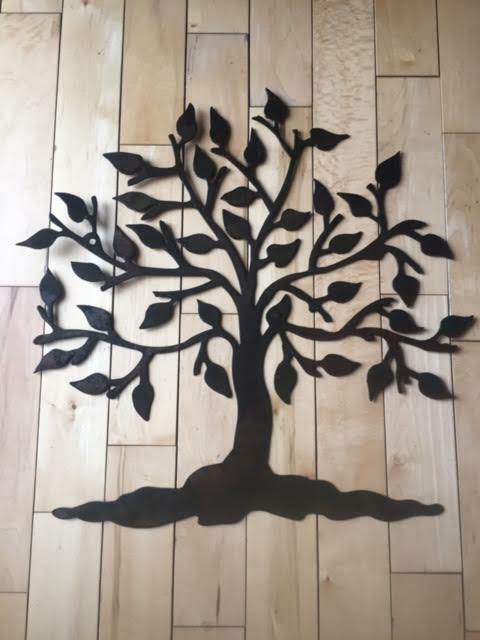 Matt started experimenting with the barn wood, creating and designing coat racks and eventually barn board flags for gifts. After inquiries from neighbours and some encouragement from his daughters, Matt started M. Jones Creations in November of 2015. He is passionate about reviving old materials in a way that enhances the character and preserves the history of the wood. The first step is removing the hundreds of square nails found in each board. The wood is then scrubbed and sanitized before being finished into barn board flags, coatracks, and some specialized furniture. Each piece is hand-painted with proper barn paint before being sealed with a polyurethane spray. All wall-mounted pieces come ready-to-hang as Matt hand-makes and installs wire hooks on the flags and sheldon hangers on the larger pieces. 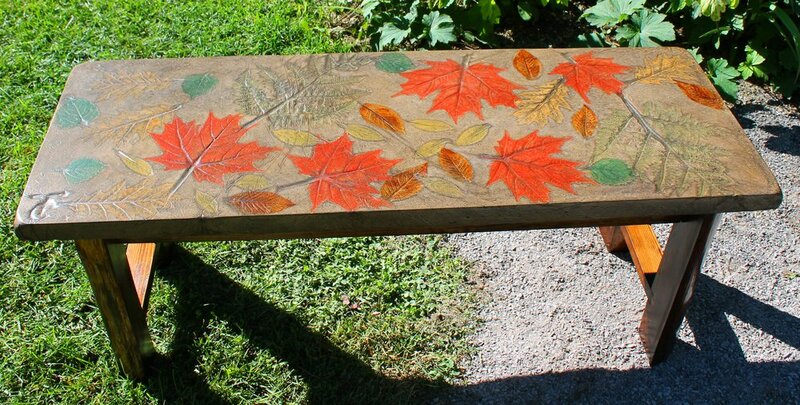 The result is a rustic piece of history, perfect for a cottage, backyard or den. Check out the slideshow below of some of Artfest Kingston's Artists/Artisans - representing Canadian landscape! Posted on June 29, 2017 by Lory MacDonald and filed under Wall Art, Other and tagged Canada's Landscape Artfest Kingston Canada 150 Artfest Canadian Artists. Celebrate Canada 150 at Artfest Kingston! This year, Canadian's are celebrating Canada's 150th birthday! Why not celebrate it with Artfest Kingston! Join in on the excitement with FREE programming that includes art and craft workshops, a poetry tent, craft beer tent, music, face painting, great food and much more. 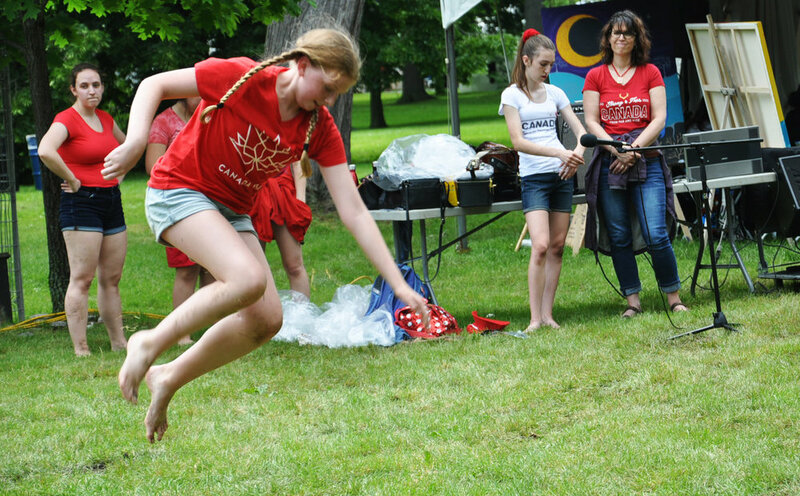 Located at City Park, where there's also a splash area for the kids, Artfest Kingston is the place to be this Canada Day! Artfest Kingston will exhibit over 150 booths with fine art and craft items from across Canada for you, your family, and friends to choose from. Our artists and artisans are selected during a jury process so you will find the most unique, one-of-a-kind pieces of artwork at our show. NEW this year is the First Nations Artist Pavillion. You will definitely want to drop over to view First Nations art and craft masterpieces! Our First Nations Pavilion will showcase a group of professional Indigenous artists, who will also serve in a mentoring role for a selection of Indigenous youth artists (age 18-30). Additionally, we will feature First Nations cultural programming that will include storytelling, traditional craft demonstrations and workshops, dance performance, singing, poetry and drumming. There's something for everyone at Artfest Kingston! We encourage you to bring out the family and celebrate Canada 150 with Artfest. Supporting our Canadian artists and artisans this Canada Day is the perfect way to appreciate, give honour and respect our country and, the talented residents that live within it! When - July 1 - July 3, 2017 ~ Saturday 10am-6pm, Sunday 10am-6pm and Monday 10am-6pm ~ Artists and Artisans from across Ontario and Quebec are in Kingston for THREE days starting Saturday Canada Day, Sunday and Monday. Walk the shady paths throughout the park. Enjoy outstanding pottery, glass, wood, jewellery, gourmet food, live music, art workshops and live outdoor theatre, poetry and more! Plan your weekend! Come to Artfest! * Craft Beer & Wine Tent on site! Artfest Kingston - FREE admission. See who's exhibiting at Artfest Kingston - Artfest Kingston Exhibitors. 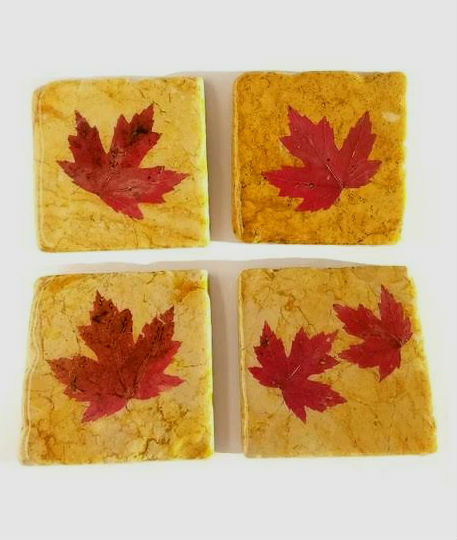 View our slideshow of some Canadian themed art and craft pieces and programming below! Posted on May 29, 2017 by Lory MacDonald and filed under Other and tagged Artfest Kingston Artfest Canada 150 Canadian Art Art History City Park. A touch of Europe at Artfest Toronto 2017! 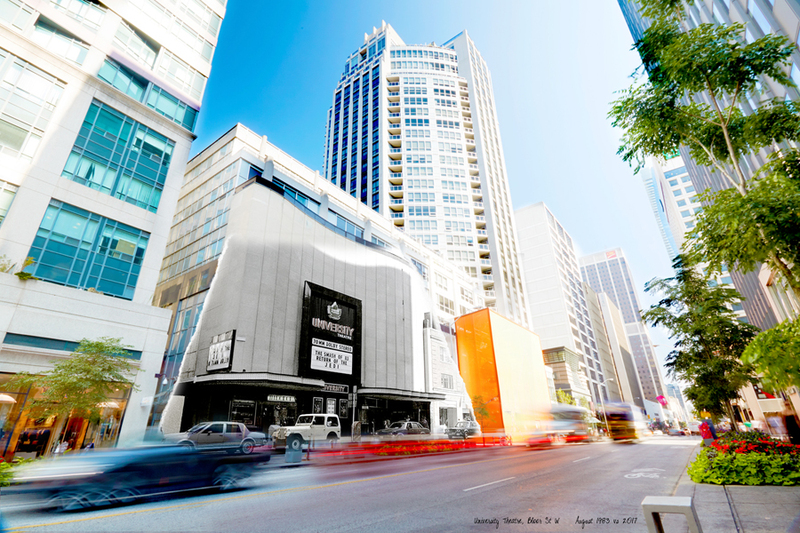 "Nearly 10 years ago a small group of visionary developers had a dream for Toronto. They looked at a derelict collection of Victorian Industrial buildings that had been pronounced a national historic site and imagined transforming it. Not into another “historic district” or “pioneer village” but into something exciting and unique. Something the city would be proud of. They wanted to create a place that would excite and inspire the senses. Where people could experience new ideas, new foods, new designs and new ways of living and working. Our vision was to combine the romance and relaxing atmosphere of European walking and patio districts with the hip, cool dynamic of an area like New York City’s SoHo or Chelsea, where creative minds get together and you feel as if anything could happen. Their dream was to provide a place where creativity would flourish and passion would be aroused – where artists, artisans, entrepreneurs and businesspeople could rub shoulders and inspire each other. So they began plans to restore the 47 buildings known as the Gooderham & Worts Distillery. They harnessed the talent of hundreds of tradesmen and craftsmen who were skilled in working with 19th century timber, planks, stone and brick. They went to great lengths in the restoration process to repurpose original materials and brilliantly blend them with today’s modern materials and green technologies. The result is nothing short of perfection. As the Toronto Star says: 'To enter The Distillery is to step back into an era of horse-drawn carts, windmills and sailing ships'. One can only marvel at the authentic exterior restoration that was achieved. But it is when you step inside the buildings that you truly realize the magnitude of what was accomplished. What you will find is a dramatic fusion of old and new. An inspired blend of Victorian Industrial architecture and stunning 21st century design and creativity. The result is an internationally acclaimed village of one-of-a-kind stores, shops, galleries, studios, restaurants, cafes, theatres and more." Posted on May 16, 2017 by Lory MacDonald and filed under Other and tagged Artfest Toronto Artfest Distillery Art Event Distillery District.